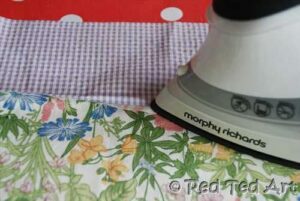 How to Make a Pillow Case Dress for Beginners, is part of the Make It Easy Series. Visit Hello Beautiful for the intro post or read below for more info. This week’s How To is a little “Pillow Case” dress for beginners. 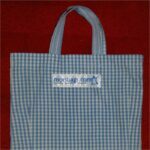 It is the second one I have made and I class myself a sewing beginner. It is amazing how quickly you forget things and I had to keep going back to my first dress and check out what I did – but it was still “surprisingly easy”. Luckily for me, I have a lovely sewing friend – Ruth from Summerland Creative – who not only sent me lots of sewing tips (i.e. 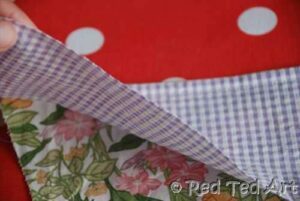 how to sew hems neatly), but also some fabric for my borders and ribbons and buttons. How nice is Ruth?! So.. 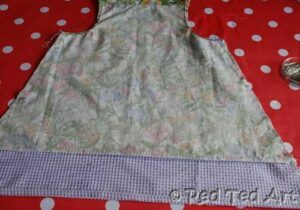 I want to share with you my Pillow Case Dress for beginners: I have written a detailed step by step guide and added lots of photos – but only to help you – it does make it all look a little more complicated than it is.. but believe me it is not! You are simply cutting out a basic shape dress and hemming it! I have also given you a basic pattern. The pillow case dress is VERY forgiving.. so if you cut it a little bigger or smaller, you will be fine! Also get yourself a GOOD pair of Seamstress Scissors! Most haberdasheries will have some. But if you want to get some online, than these are just the ticket. The KEY THING to remember, is to ONLY EVER use these for fabric. 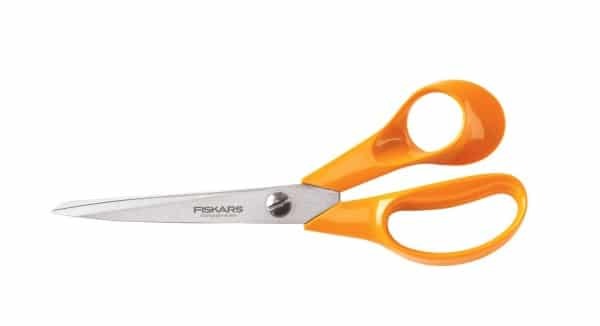 That way you can keep your scissors nice and sharp. Get yours here – US readers/ UK readers (affiliate links ). I decided to add a “contrasting border” at the bottom of the dress – if you want life simple – don’t make the border. But I do think it is lovely and worth doing! 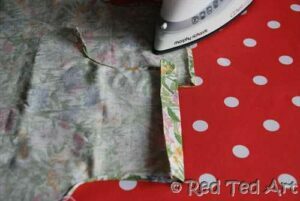 You can simply skip Step 2 – the French seam! My little girl is a big 18mth old, so this is probably for a 2yrs old (she is 85cm, approx 33″). 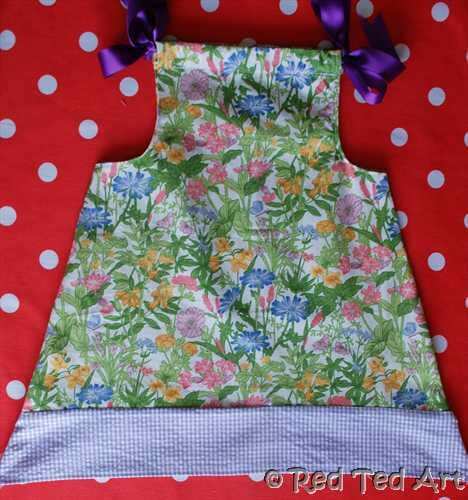 Or you could use one of your child’s existing dresses as a template. 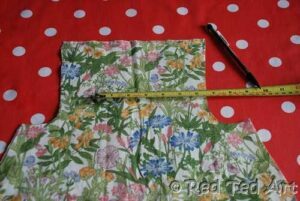 If you make your own pattern add 2″ seam allowance length wise (you loose more seem allowance fabric due to the ribbon piece at the top) and 0.5″-1″ seam allowance width wise. 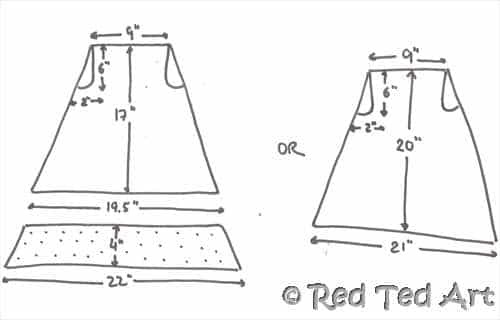 Here is my FREE Pillow Case Dress pattern – this will result in a dress approx 18″ in length and 20″ wide. With border or without! Step 1: Cut your Pillow Case Dress fabric. You may find it easier to cut “the pattern” out of a piece of baking paper – that way you can make sure you don’t cut anything wrong and that you align the pattern nicely.This also gives you practice working with commercial patterns another time! I find it helpful to fold your fabric in half to ensure you cut it evenly. 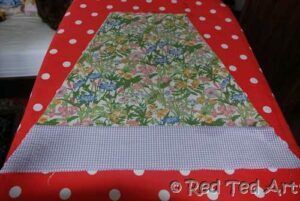 You will need 2 pieces of the main and 2 of the border fabric. 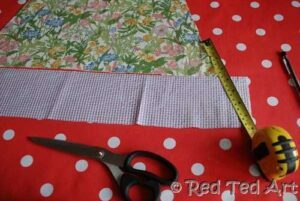 If you are making your own pattern – use your ruler to align your main and border fabric on the diagonal (see image). Attach border with a French seam. Now a French seam sounds complicated, but it isn’t. And it looks lovely and will give your dress that special “professional” finish. You can of course just do an ordinary seam. So if you find this step “confusing”, just sew your two pieces together normally – you may have to trim a bit of the border though, as there are extra French seam allowances! (i) Put our border and main together – right side facing OUT and sew as close to the edges as possible. (ii) “Open” the two piece. Press the seam with an iron, so it opens up (just makes it all neater). I also trimmed a little of the seam. (iii) Folder over, so you now have the right side of the fabrics facing IN, press and sew. (iv) “Open” the 2 pieces. Press with iron and hey presto you have a French seam! Lovely. (v) Now trim the border against the main fabric so you have “one continuous line”. (i) Cut a “semi tear” shape into the arm – 6″ down – 2″ across. 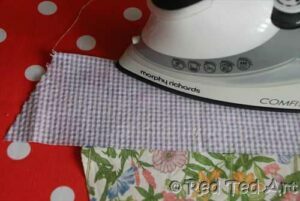 You can cut a diagonal if you like – this is easier to sew. But the “tear” is prettier. Your choice! (ii) Fold over raw edge and iron a very small seam. Then fold over again and iron/ pin in place. This gives you a nice neat seam with no fraying edges. It is as if you are “tucking in the raw edge”. It IS fiddly, especially around the curve and my seem gets very narrow there. Just take your time and gently fold the fabric round. Use the iron to help keep in place. Check both front and back align. (i) Fold over a raw edge of the fabric, iron in place. (ii) Fold fabric again – approx 1″. Match up your front and back and make sure they are aligned. 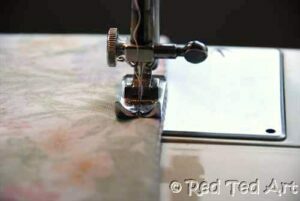 (iii) Sew as close to the edge of the seam as possible – making sure you sew on both folds. You will find the beginning and the end of this seam a little harder to do – as the sewing machine has to sew across so many folds of fabric. It doesn’t matter if it isn’t “too neat” – no one will notice the odd bit of bumpy sewing. It is a little fiddley. Don’t fret. Just take your time. (i) Pin in place. Make sure you align the border/ main” fabric seams – if these don’t align, it will be most noticeable “discrepancy” on the dress. You can adjust any border unalignment in the next step. 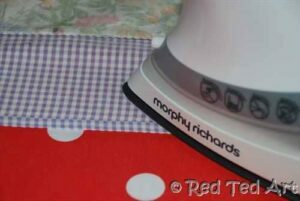 This is your chance to tidy up your hem and make sure both sides are neatly the same length etc. 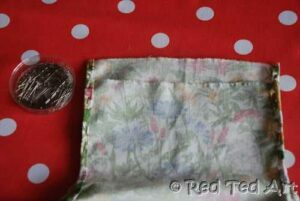 You can shortened it too if you fancy or if you didn’t do a French seam (see step 2). (i) Fold raw edge and iron. Then turn the fabric again iron and pin in place. 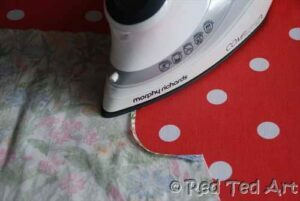 Tuck this in again and hide away any raw edges of the fabric to give you a nice neat finish. Step 7: Add the ribbon as a halterneck. (i) Thread in the ribbon (attach a safety pin to make it easy). (ii) I placed a couple of stitches in the centre to hold the ribbon in place.. else you may find you are constantly pulling it out. Woohoo! 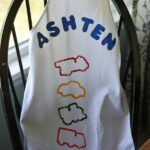 Your Pillow Case Dress DIY is complete!!!! Well done you. ENJOY and basque in your sewing glory! Those are so fun to make! My sister and I made like 90 of them all with scrap fabric from her basement, my basement, and my mom’s basement. We had thought about selling them online but then we got kind of bored with the selling part, lol. I use them for gifts all the time, though. They all turn out so differently and it’s fun to see what they are going to look like! Great tutorial. Wow! 90 of them!! I am impressed! Definitely a great way for using up odds and ends of fabric! And GREAT gifts! I love how these are so simple yet you can make them so unique by changing the fabrics or adding ric rac and maybe pockets. Lovely tutorial Maggy! 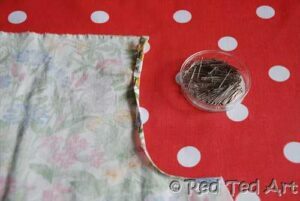 Great tutorial Maggy, definitely one to add to my list once I am returned to my beloved sewing machine next week! Oh thank-you a million times over!!! 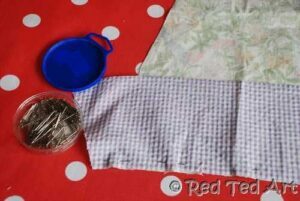 My daughter loves sewing, but her looooong legs have outstripped her pillowcase dresses, why didn’t I think of adding a little more fabric to the hem… Here’s our se7en things to do with a pillow case post: http://www.se7en.org.za/2010/08/21/se7en-things-to-do-with-a-pillow-case Have a great weekend!!! So cute! Thank you for the clear instructions and great project! My grandma used to make something like these for my sis and me when we were little. Hope you are having fun at #cybermummy11 Was so funny as I happened to be going back and forth reading your posts and Imagination Tree’s and then, I saw the comment that you are both there at cybermummy11. Hope that you have a great time! it is a little after 5 am here…I am just up because we have company coming so I wanted to get a jump start on things today. Now, really, I DO need to get a sewing machine!! I have two little girls and this tutorial is giving me very good ideas. but, but, what do you put on your pillows now? Aaah thanks Fran – means a lot to me when a “Pillow case maker expert” says the tutorial is good! *phew*… afterall, I AM a novice! I’ve been wanting to learn how to make one of these! Thanks for the tutorial…not sure I’m quite brave enough yet, but good to know it’s here! 😉 hehe. I have a guest blogging idea I’d like to run past you, I’d love to have your write a post for me. If interested please let me know and I’ll send you all the details! 🙂 Thanks!! I love this (but you know that already!) Thank you for linking up! The simplicity is what gits-‘er-done! 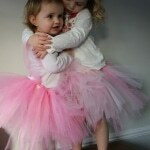 A great place to start on kids clothing. Very simple and looks good. 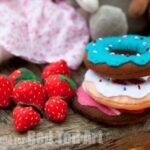 So cute…I just need a little girl to make one of these for! This is awesome…im coming from the CSI project! I just started sewing…i just made my first handbag…i linked it up…I have been wanting to try a dress like this out!!! 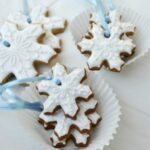 perfect….im pinning this on my Pinterest board now! thank you ! 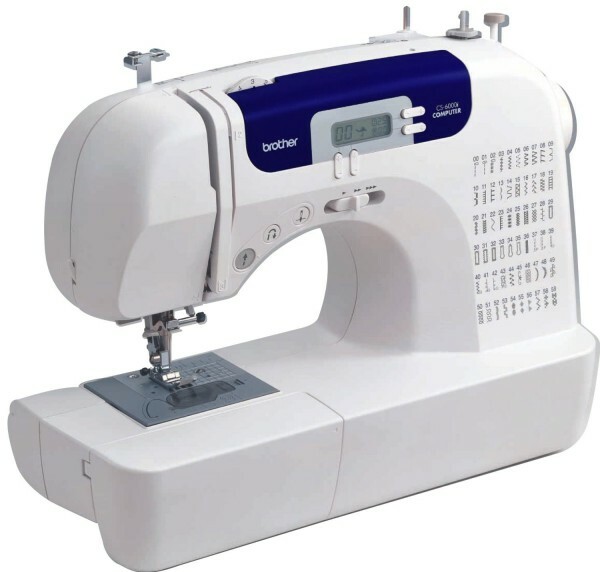 Oooh good luck with learning to sew – I am too! And am a total convert 🙂 and thank you for pinning!! Much appreciated! I look forward to blogging with you! Thank you for the party invite! Have joined in!! Your tutorials are SO thorough! 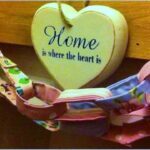 Thank you so much for sharing this at Savvy HomeMade Monday. I hope you will party again tomorrow! You are lovely! Thank you 🙂 and popping by again now! 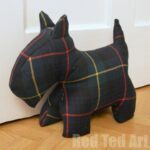 Having just learnt to use a sewing machine I think I might just be able to have a go at one of these! 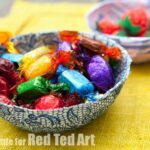 Am off to some charity shops now so might keep an eye out for some fabrics 🙂 As always a brilliant blog post! 🙂 have fun!!!! And hope yours turns out lovely too! Hi, I found a plain machine at a yardsale for $15. Just thought everyone who doesn’t have one could check out the yardsales or thrift stores in their area. 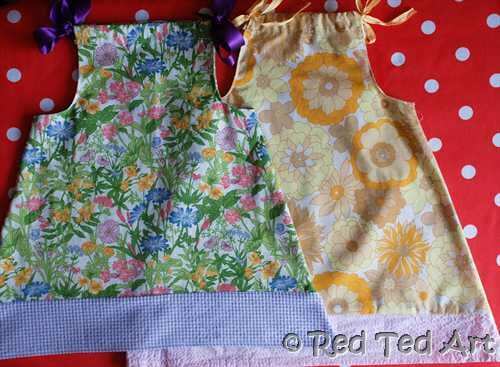 Good for mending, and making these lovely little dresses! Great easy pattern..I just use reg. Pillow cases..I buy them up at all the local thrift stores…add my own touches and will add matching headbands too…sooooooo cute! I feel better about making these dresses knowing someone made 90 of them. I have about 3 months to make as many as I can for poor children in Dominican Republic and shorts for little boys. Thanks for your help!! I don’t see why not! I would take measurements from an existing garment and use those to guide you!